In the first and second terms of the 17/18 academic year, the Wellbeing Coordinator supported 18 community initiatives with King’s or external partners along with 65 student groups, to lead 84 initiatives reaching 4,934 students. This is a 140.5% average increase in engagement from the 16/17 academic year when this role began. To give a fuller picture of my role, I will highlight one initiative that took place in the first term and was so successful that it is now a key part of my annual objectives; it also best demonstrates what my role looks like in practice. Wellbeing Week was originally a campaign owned by the College with limited engagement from students. As the Wellbeing Coordinator, I wanted to realign this initiative so that Wellbeing Week would raise awareness of student wellbeing and act as a gateway for student groups to run wellbeing initiatives throughout the year. With the key focus of the initiative to improve the quality of student engagement and enhance community impact, I was given responsibility to lead this event as a new initiative to KCLSU. Wellbeing Week was therefore created with a whole-university approach in mind as a campaign to empower student groups to grow communities and spaces of positive wellbeing in partnership with King’s and KCLSU. April: Set dates for an October Wellbeing Week campaign to raise wellbeing awareness early in the academic year. Hold KCLSU activity rooms for Wellbeing Week activities. June: Student leaders of Sport Clubs and Student Activity Groups invited to lead on wellbeing initiatives during Wellbeing Week at the President and Treasurer Training Conference with dates highlighted in handbook. July: Wellbeing Fund application opened as part of larger funding application process with specific information how to run wellbeing initiatives during Wellbeing Week. Relevant King’s partners identified and invited to run event(s) during the week. August: Create a communication plan with the KCLSU Marketing team to schedule promotion of Wellbeing Week that included website promotion, online news stories, posters (put up a week before event), Wellbeing Week-branded bunting in KCLSU spaces, table talkers in KCLSU and King’s venues, special healthy food menus in KCLSU venues during the week, email communications to all students in Officers’ Update, email communication to student leaders through Activities Update and Team Talk newsletters, stickers on KCLSU café cups during week and social media updates starting two weeks before and also during event. September: Support all those running events and ensure that they align with the goal of initiative. Create online event calendar of week and individual event listings with support from KCLSU Marketing. October: Student groups and King’s partners sent Partner Pack that included digital copies of poster, flyer and social media images so they could promote their event and Wellbeing Week in a consistent way. Groups also sent Wellbeing Report template and reminded of responsibility to report on numbers and impact after the event. Events held throughout the week, reports submitted after and a full ‘End of Project’ report based on these reports submitted to the KCLSU Trustee Board to demonstrate impact. Wellbeing Week held from 23-29 October 2017. 52 wellbeing events held with 42 of these led by 32 student groups. 6 events held in Student Residence Halls in collaboration with the Residence Life Team. Approximately 1,000 people engaged with in-person events and online via the King’s Move Challenge group. Wellbeing Week website had 591 visitors with 4,925 page views; Doggy De-Stress Tweet reached 10.4k. Partners included King’s Wellbeing, King’s Residence Life, King’s Modern Language Centre, King’s Food, It Stops Here, Be Active, KCLSU Venues as well as the external All Dogs Matter and Mobile Massage. £1085 awarded in funding to 15 student groups with funding application window open from 10 July – 7 August. 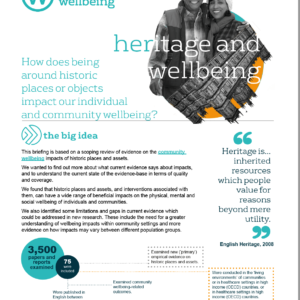 These highlights and responses demonstrate the positive impact of Wellbeing Week on the King’s community. Despite its overall success, running a campaign like Wellbeing Week is not without its challenges. With a multi-campus, city-based university like King’s College London, promotion is always difficult. The Partner Pack was the best solution for this as it allowed partners to share Wellbeing Week through their local channels and community networks in a consistent way to the more centralised promotion through KCLSU and King’s. 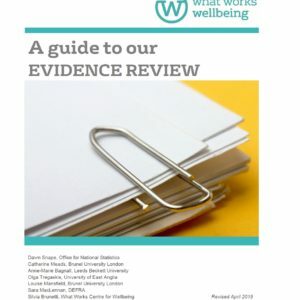 Additionally, although the Wellbeing Report was a good start to measuring impact of the campaign, it lacked the experience of the event attendees as it was written and submitted by event organisers. In the future, we will look to offer online surveys to those who attended events, alongside a wellbeing prize draw incentive. Overall, Wellbeing Week reached its aim to grow communities and spaces of positive wellbeing at King’s by supporting more student-led wellbeing initiatives to happen and empowering better-informed students on how to access support and manage personal wellbeing. With so many student groups and university partners, the campaign successfully raised awareness of student wellbeing with a whole-university approach whilst also creating a simple process for student partners to lead on wellbeing from the ground up. A benefit of this initiative was that the campaign itself raised the profile of wellbeing so that more student leaders and King’s partners knew about the support available for running wellbeing initiatives. Consequently, more student-led wellbeing initiatives took place in partnership with KCSLU and King’s whilst student engagement increased by 140.5% across the first two terms of the academic year (where numbers were available to compare). Do you know about our Higher Education resources? We aim to bring together, and builds on, the evidence base for improving wellbeing in higher education. PreviousWellbeing: should we really be using it to ‘monetise’ non market activities?